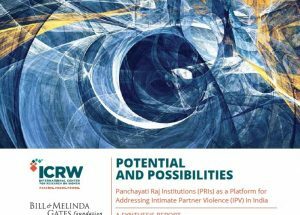 With support from the Bill & Melinda Gates Foundation (BMGF), the International Center for Research on Women (Asia Regional Office, with support from the Washington, DC office) set out to study intimate partner violence in India. 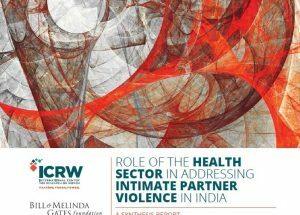 The project, entitled Evidence Based Systemic Approach to Addressing Intimate Partner Violence in India: Creating a New Vision, has resulted in a number of resources, the first a report published in 2017 and entitled Addressing Intimate Partner Violence in South Asia- Evidence for Interventions in the Health Sector, Women’s Collectives and Local Governance Mechanisms. 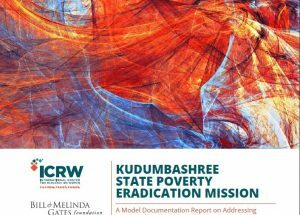 See below for the 2017 report and more recent resources. The report, Addressing Intimate Partner Violence in South Asia- Evidence for Interventions in the Health Sector, Women’s Collectives and Local Governance Mechanisms, is based on a systemic review of literature. It seeks to understand how best to design responsive IPV interventions by examining relevant programs that were or are being implemented in South Asia. 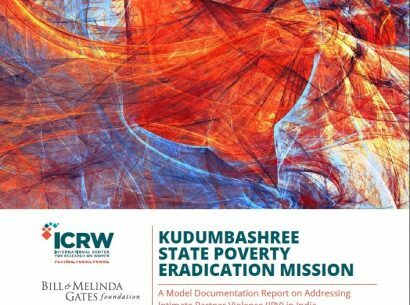 These interventions have all been evaluated, to some extent, and offer rich learning for future interventions. 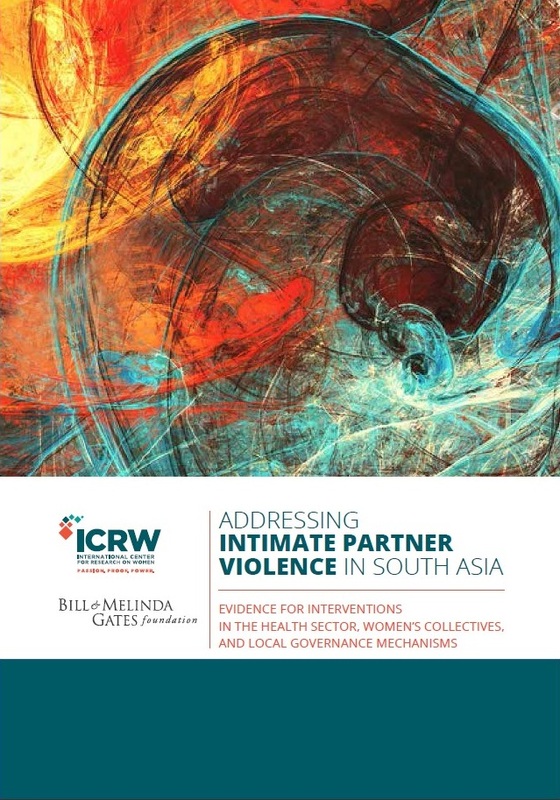 The specific objectives of this review were to identify past or current IPV interventions in South Asia, implemented at a systemic level and using one or more of the following platforms: the public health system, local governance systems or women’s collectives. 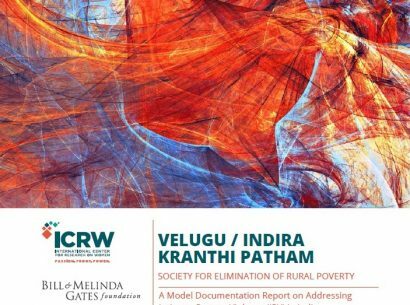 It was also intended to gather, synthesize and analyze existing evidence from these programs to identify key implementation challenges and understand how to design more responsive programs, especially in India. The three aforementioned community-based platforms were selected because they are easily and frequently accessed by women, cover the range of interaction that women have with their communities and are relevant to the Indian context. 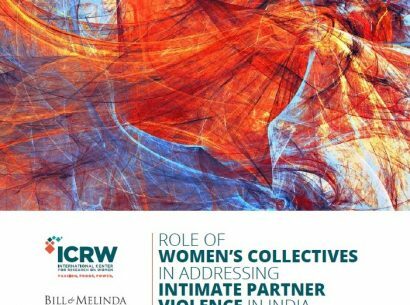 To learn more about ICRW’s Asia Regional Office and the work our team is doing in the region, visit our Asia office page here.